I think I’ve found something! When this little tub came through my letterbox, I was really excited to try them out and get wiping them across my face. I’ve tried lots of facial pads and they tend to just dry my face out but these little beauties did the complete opposite and more. So what are they? 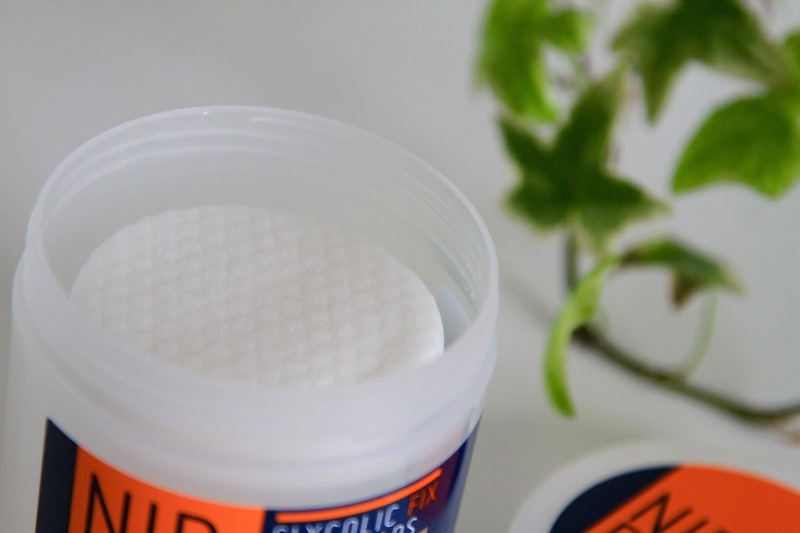 Nip+Fab Glycolic Fix Night Pads Extreme are daily treatment pads that contain glycolic acid (the highest amount in the glycolic range) along with more skin healing ingredients. They are designed to give a glycolic boost to your skin removing any bacteria that could turn into nasty blemishes, as well as reducing the appearance of existing spots. The pads also work as an acid exfoliation, combined with the textured surface of the pads to give you that extra facial clean. 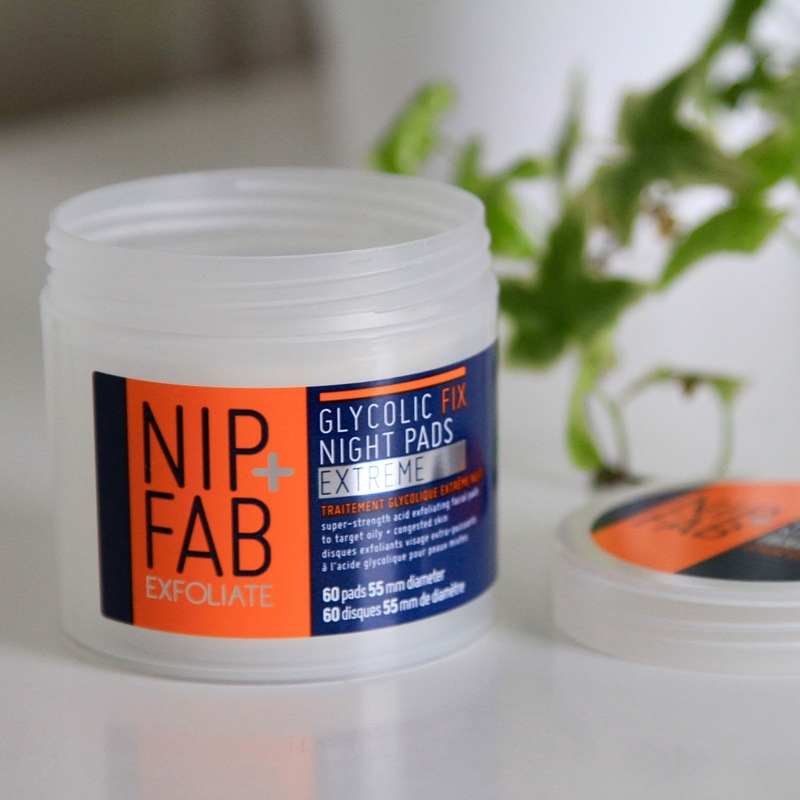 The original Nip+Fab Glycolic Fix Pads were a massive success and with fingers crossed the extreme version will be flying off the shelves too. So what do the new pads contain? Having this wide range of ingredients gives you the perfect combination for an all round treatment product. This is perfect for people who are prone to blemishes, scaring or uneven skin tone. The use of these pads should be no more than 2-3 times a week but because I love a good test and trial (and bending skincare rules), I used these every night for 1 week and found a huge improvement in the complexion and appearance of my skin. In terms of is it worth the money, hell yes! Costing only £14.95, this is a bargain for quality and immediate results! Each tub contains 60 pads which will last you around 20 weeks if used 3 times every 7 days. Find out what else Nip+Fab have in store here. What’s your favourite Nip+Fab product?